“My name is Madeline Graham; I am a rising senior in the Historic Preservation Department at the College of Charleston interning with Drayton Hall’s Preservation Department. Each day is filled with new tasks and fascinating discoveries. Throughout the summer I have worked with interns from other institutions as well as the entire staff of the Preservation Department. There are so many ongoing projects that there is never a dull moment! I am always very busy with tasks that I feel contribute to the overall success of Drayton Hall and its preservation goals. 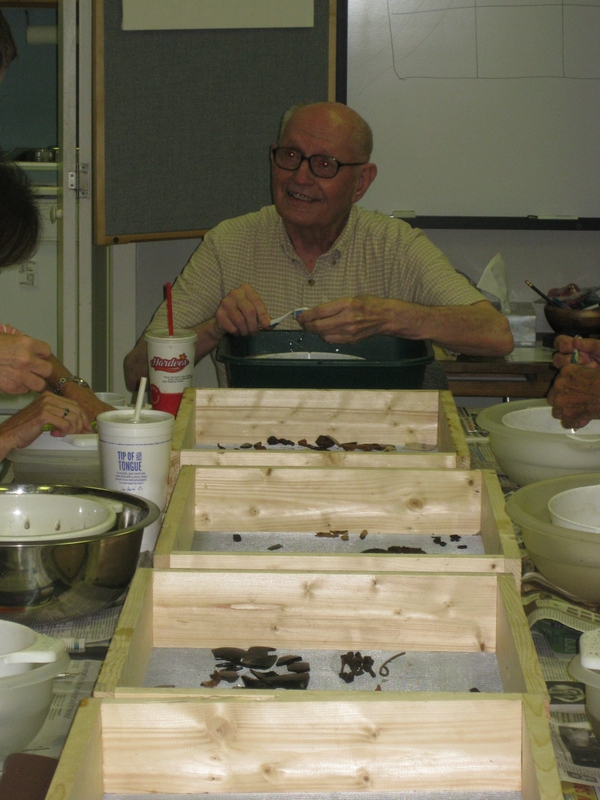 The process of washing excavated artifacts is an ongoing one at Drayton Hall and any other active archaeological project. Once the artifacts are excavated, each fragment is washed in order to then be labeled and finally cataloged and analyzed. 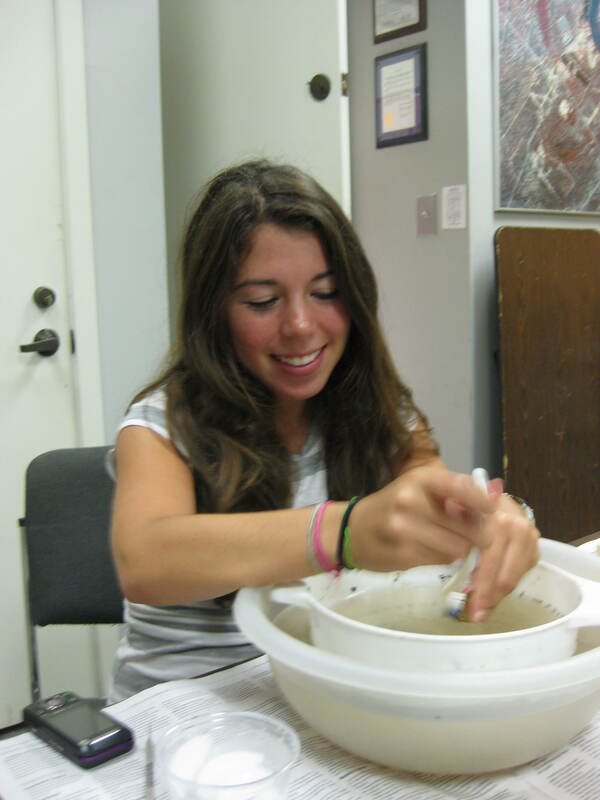 For every one hour in the field, it takes archaeologists 8-12 hours in the lab to prepare the artifacts for analysis. The archaeologists at Drayton Hall are very lucky to work at a site so rich in history. Since active archaeological excavations resumed on the property in the fall of 2008, however, the number of artifacts in need of processing had reached into the hundreds of thousands! 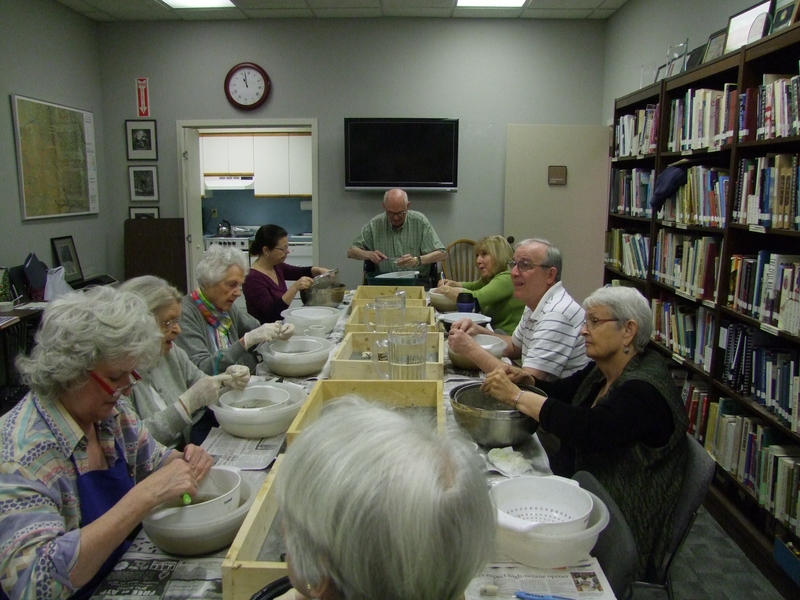 A volunteer based program, “Preservation Wednesday,” was developed to assist the Preservation Department with this task. “Preservation Wednesday” is a hands-on experience open to Friends of Drayton Hall who are invited to work as volunteers alongside of our Preservation Department Staff. This month marks the first anniversary of our Preservation Wednesday program. During the past 12 months, 26 individuals have participated including numerous Drayton Hall Friends, enthusiastic staff members volunteering their time, and even members of the Drayton family—including the wonderful Mr. Charles H. Drayton III who often heads up our washing table! The 26 participants have booked an astounding 264 hours wielding toothbrushes to diligently clean our amazing collection of artifacts! The Drayton Hall Preservation Staff is consistently blown away by the enthusiasm of this group and is humbled by their dedication to our ongoing archaeological projects. We thank all of the participants for making an idea for a hands-on Friends experience a successful reality! If you are a Friend of Drayton Hall and would like to participate in future Preservation Wednesdays, please contact Drayton Hall Archaeologist/Preservation Coordinator, Sarah Stroud at Sarah_Stroud@draytonhall.org or call 843-769-2637. Preservation Wednesdays are held the third Wednesday of the month from 10am-Noon. For more information about becoming a Friend of Drayton Hall go to: http://www.draytonhall.org/support/become_member/, or visit Drayton Hall in person and become a member on-site to receive your silver-plated rice spoon!